You will have probably noticed those people who are walking around Venice with a purpose in their stride and concentration on their faces, and who will occasionally look at their watch (or nowadays more likely their phone) for the time. In short, those people who work and live in Venice. Whilst it is lovely to wander around with no real sense of hurry, no deadlines apart from perhaps a lunch reservation, it may have happened to you as it has to so many of us, when you are looking across the canal, a mere 30 meters, at the point where you know you need to be but can’t arrive without retracing your steps endlessly to one of the four bridges. So, how do they, the Venetians, get around the city so quickly? Well partly, it is a matter of learning with time. 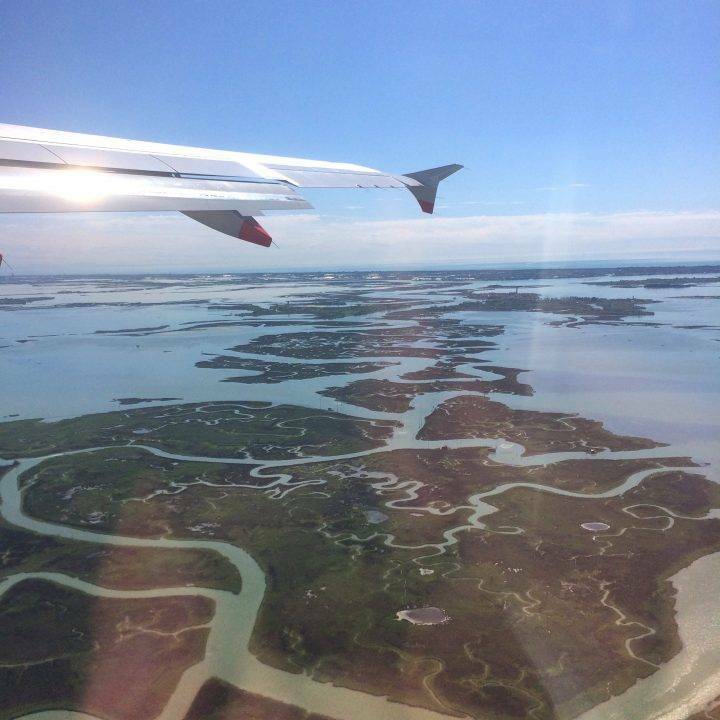 Venice has its own speed, but you can also set your own pace. Learning the hidden shortcuts is a source of constant pleasure for me, and I say constantly because to this day I am still discovering more alleyways that make the most bewildering connections but save valuable minutes. However, there are some obstacles you just cannot surpass, the Grand Canal being one of the most beautiful, but occasionally frustrating of these. 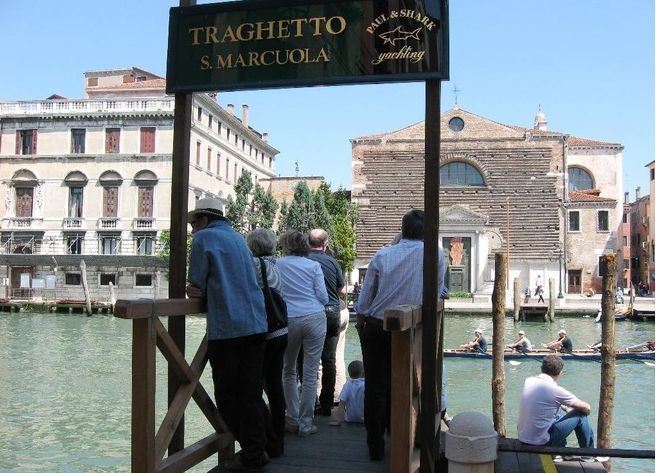 The bridges that cross the Grand Canal are; The Accademia, The Rialto, Costituzione e Scalzi. Other than this you need to take a Vaporetto, which can often be costly and confusing or alternatively a Traghetto, (ferry). This is the lesser known but elegant Venetian solution, that makes those small essential connections throughout the city. There are now only 7 active points from where you can take a traghetto, but in the Fourteenth Century there were 37. At the bottom of this post are listed all the places where you can find the Traghetti stops nowadays, although I am skeptical as to whether they are all still running, this is how quickly the change is happening. 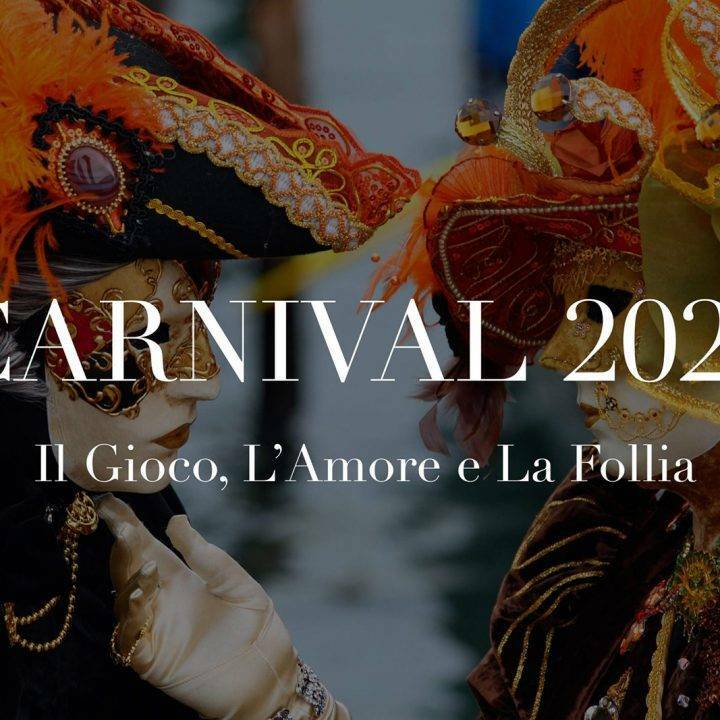 There is a slightly different price for locals as opposed to foreigners, however, it will still not break the bank €2.00, and it is a way that you can actively support an essential and elegant part of Venetian culture that if not used will no longer exist. You will find, once you get the hang of this, that it is one of the most pleasing and practical ways of seeing Venice, saving time and giving you a chance, however brief, to see Venice from the water. 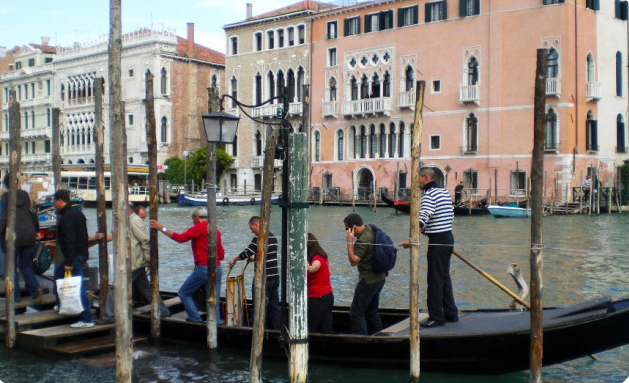 As mentioned before, in the fourteenth century, there were 37 routes, grouped into three different types: Da viaggio (for entering and leaving the city), Da Bagatin (for crossing the grand Canal) and per guardagnar (for hire, usually by the day). 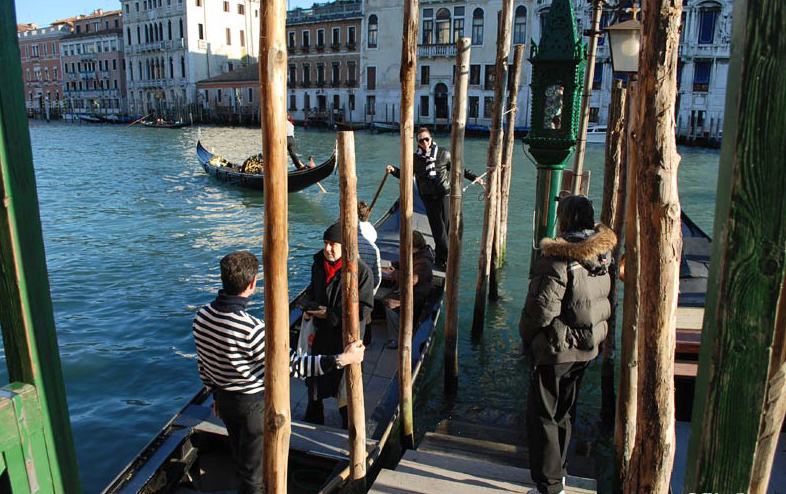 The boats used at traghetto are robust gondola made to withstand the capacity of around twelve passengers at a time. They are typically about eleven meters in length and are constructed with a flat underside. They are built with an asymmetrical hull to increase maneuverability from the stern with one long beech wood oar. There are 280 separate wooden pieces of wood that are used in the construction of a traghetto, and nine different wood types – beech, cherry, elm, fir, larch, lime, mahogany, oak, and walnut. It takes approximately three months to build.